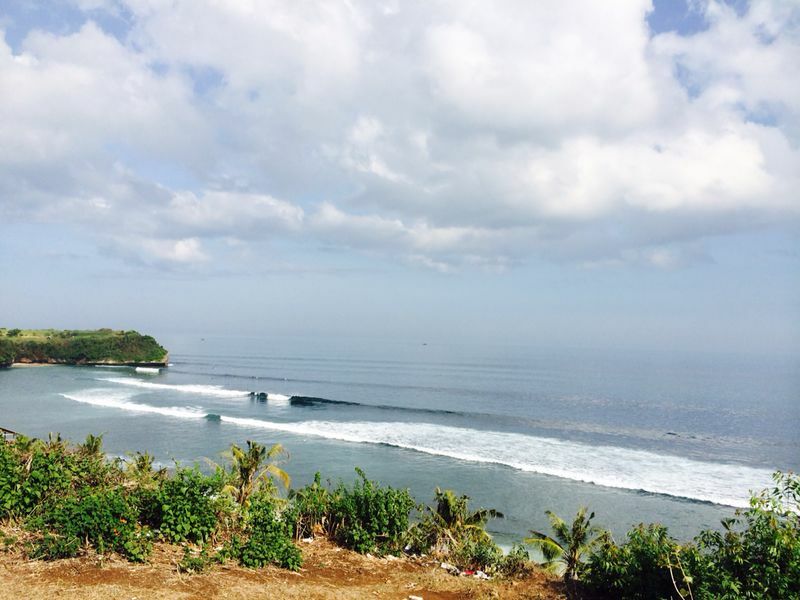 After lapping up the ‘culture’ in Ubud for a couple of days, we headed south to Uluwatu for some surfing and sunshine before we left for Australia. 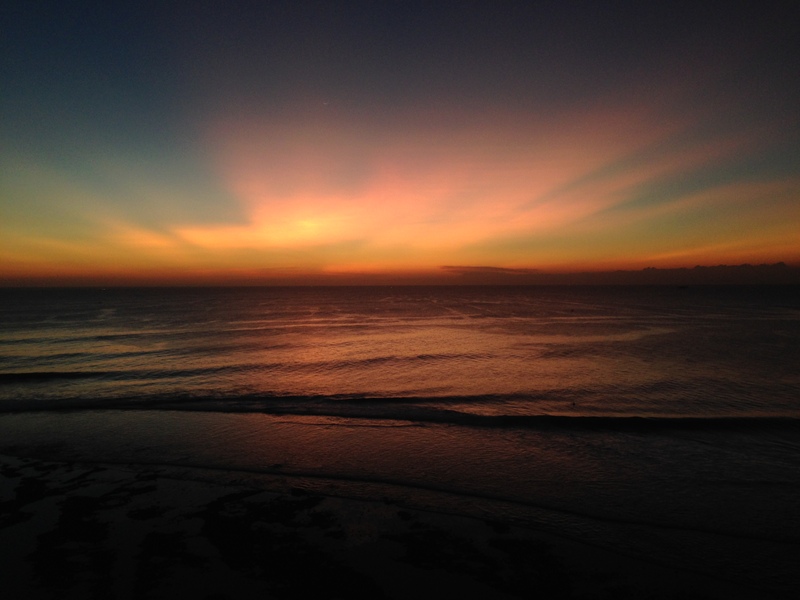 Some Americans we’d met in Singapore had told us about this amazing little hotel in Jimbaran that was nice and cheap – they weren’t wrong! For $15 each a night we got an air-conditioned room, an ensuite bathroom with hot water (don’t underestimate the luxury of a bathroom with hot water in South East Asia), huge fridge, free mineral water, flat screen TV with cable, a swimming pool, breakfast, AND a motorbike. In short, we lived like kings. 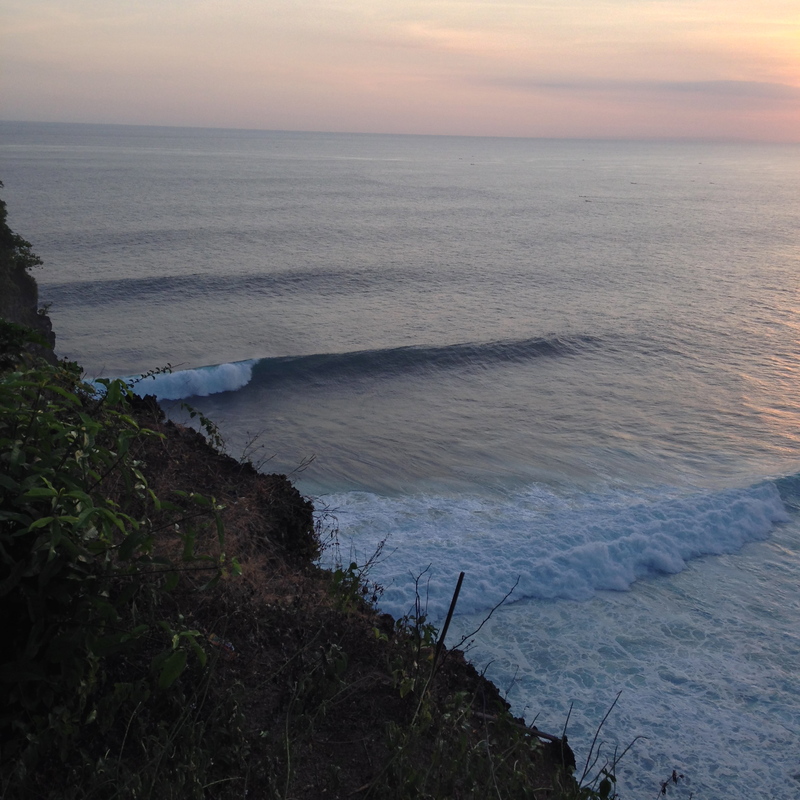 We dumped our stuff as soon as we arrived and drove to Uluwatu to watch the sunset over the famous surf break. 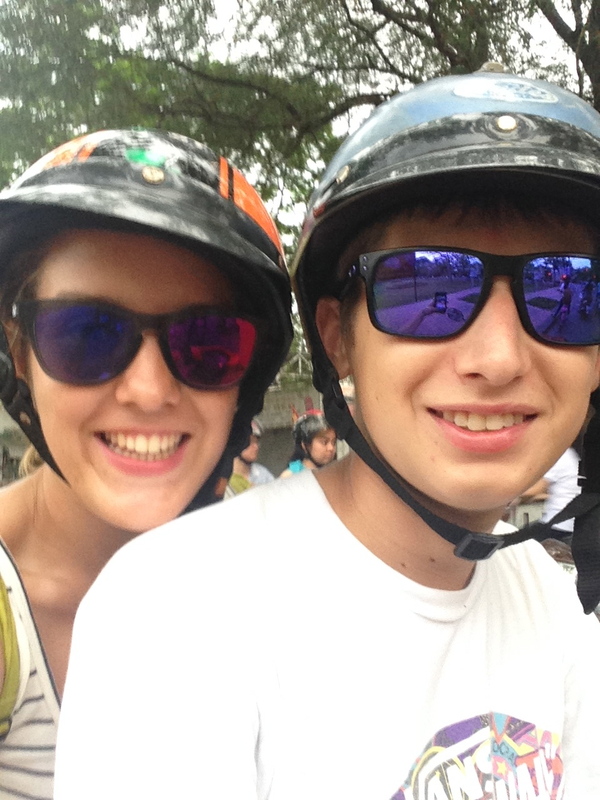 It was the first time we’d ridden a motorbike in Bali… it was pretty intimidating. There are NO road rules here! The following morning we met this really cool half Timorese, half Indonesian guy called Angel Berto and his French girlfriend, Morgane. Berto was a very interesting guy and had been a sports commentator for a Malaysian sports channel. 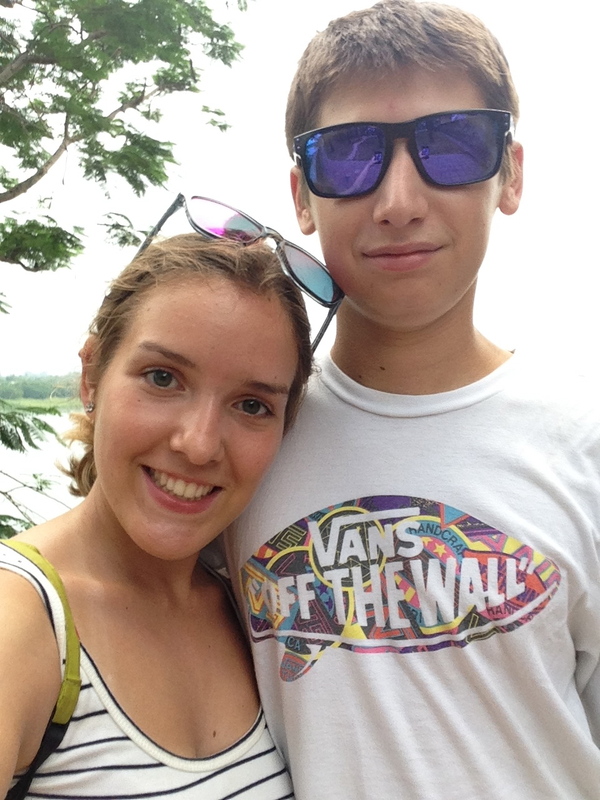 Morgane had met Berto on holiday last year in Bali and had returned to be with him. 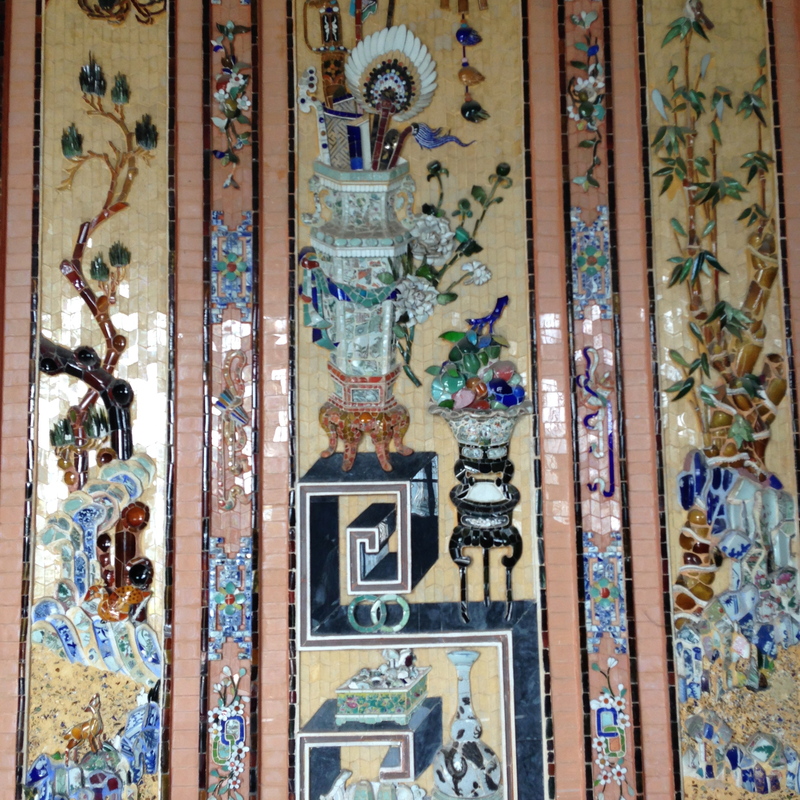 Although she was on a tourist visa, she’d found a job in marketing for a 5* hotel down the road. She worked 6 days a week and only earned $500 a month, which is a LOT of money for Indonesian standards. She didn’t seem to like her job and resented the fact her wages were so low compared to France. Berto and Morgane invited us to go out with them and their friends later that evening in Seminyak. We all met in front of the hotel, jumped on the motorbikes and drove in a convoy to Seminyak. What Kyle and I didn’t realise was just how far Seminyak was, and that we’d have to drive on the motorway to get there… Everything was going fine on the bike, when suddenly the bike started to slide from side to side and we had to pull off quickly onto the side of the road. We had a flat tyre!! We couldn’t see any garages nearby and were lucky that Berto knew exactly where we could get the tyre fixed. We drove very slowly up the road to a petrol station where there was a mobile tyre fixer. 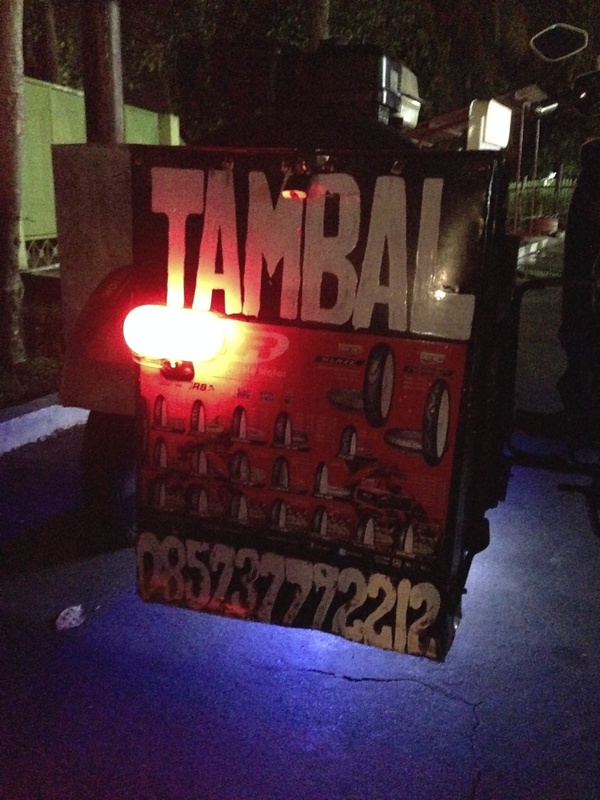 It was this Indonesian guy who had a small trailer on the back of his bike and drove around looking for people with flat tyres. He replaced the inner wheel of the tyre for $5 in 5 minutes, and away we we went! We went to this really cool bar in Seminyak called La Favela and they were playing 90s hits all night long. I was having a ball of a time. The next morning we met Berto and Morgane and hung out together on Balagan beach. 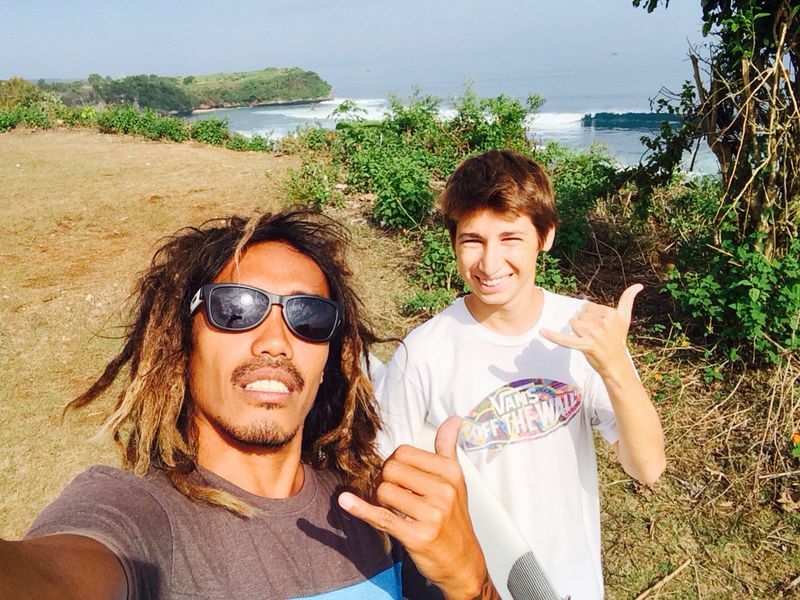 Kyle and Berto decided to go surfing, but returned within 10 minutes because the water was full of sea lice and jelly fish. Berto had a particularly bad reaction to the sea lice and his torso was covered in big red bumps. It looked very painful. 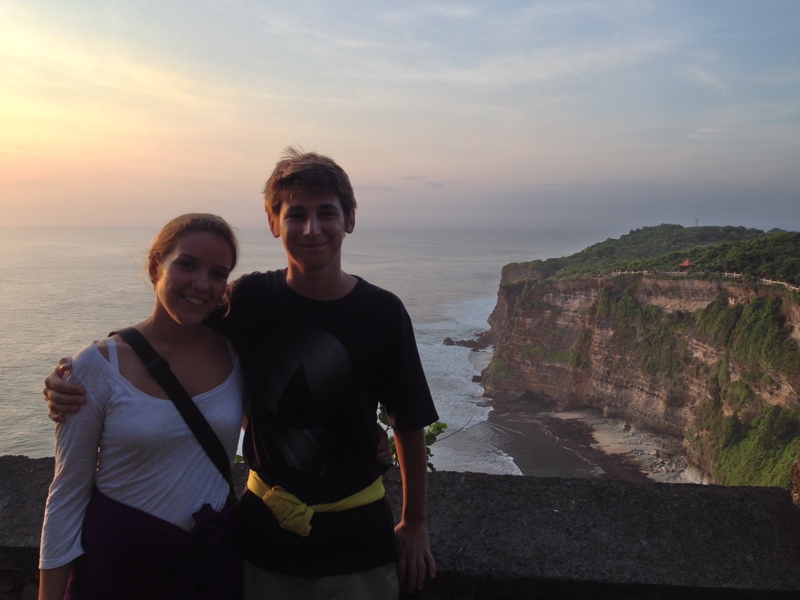 We decided to head back to Uluwatu for one last time to see the temple on the cliff top. 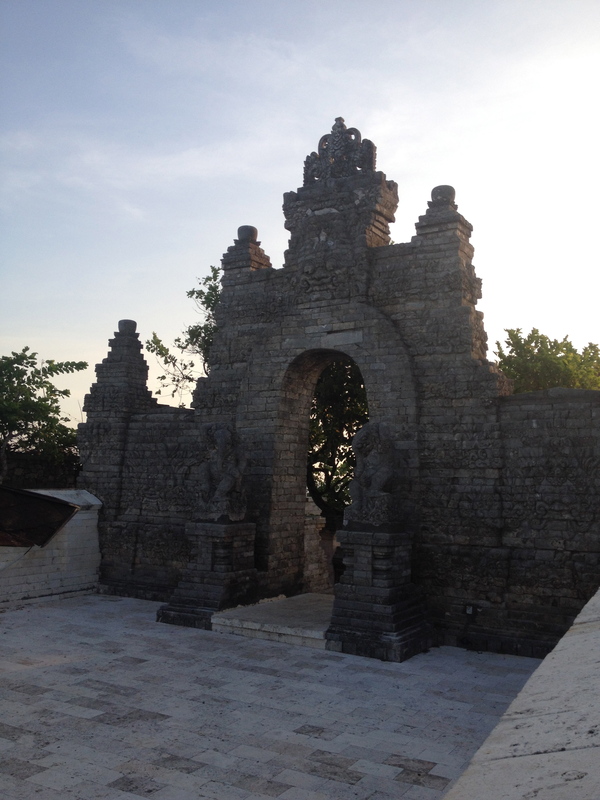 The temple itself wasn’t particularly special and was home to even more monkeys (!!!! ), but the view was breathtaking. We then went to have dinner at our favourite restaurant in Bali, Warung Makun. It’s essentially a huge buffet: you choose a rice, meat, vegetables and a drink, and then the waitress gives you a little ticket. I’d been a bit disappointed with food in Indonesia until now, but the food here is absolutely divine. And cheap too! My meals at Warung Makun were never more than 2 quid. Nom nom nom. 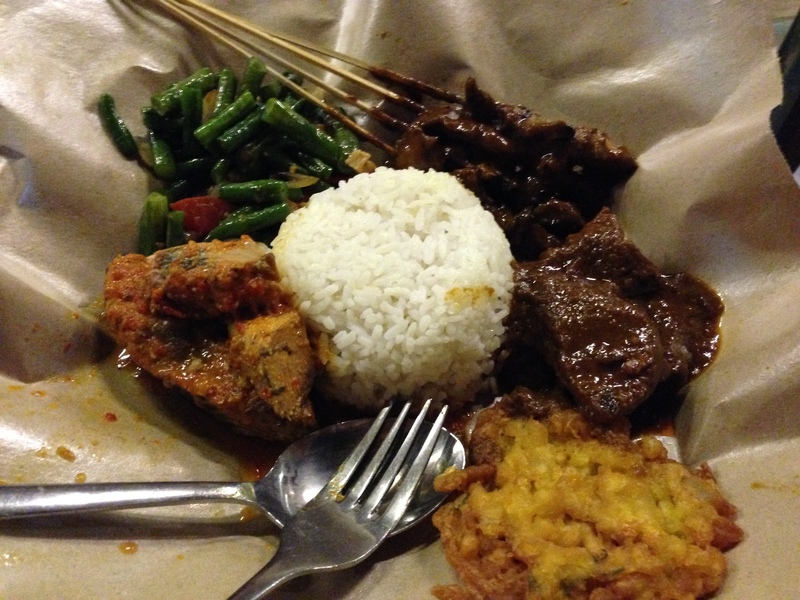 My meal at Warung Makun! 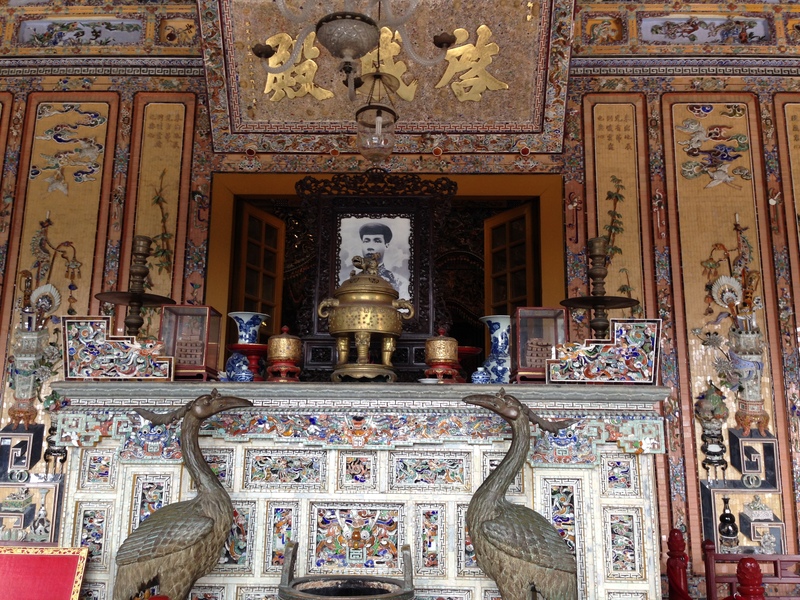 After our cruise in Halong Bay we returned to Hanoi for a few hours before getting on the sleeper bus to Hué. Unfortunately as we were the last ones on the bus, we were assigned sleeper bunks right at the back of the bus next to the toilets. :-(. The bunks at the back of the bus were clumped together and it was like a double bed for three people. The bed situation was fine at the beginning of the trip, but then the bus driver would randomly stop on the motorway and pick people up to make some extra money. We soon had a delightful Vietnamese guy who stank of alcohol join us in our bunk. It was like we’d arranged a sleepover with a strange Vietnamese guy, and it was way too close for comfort. 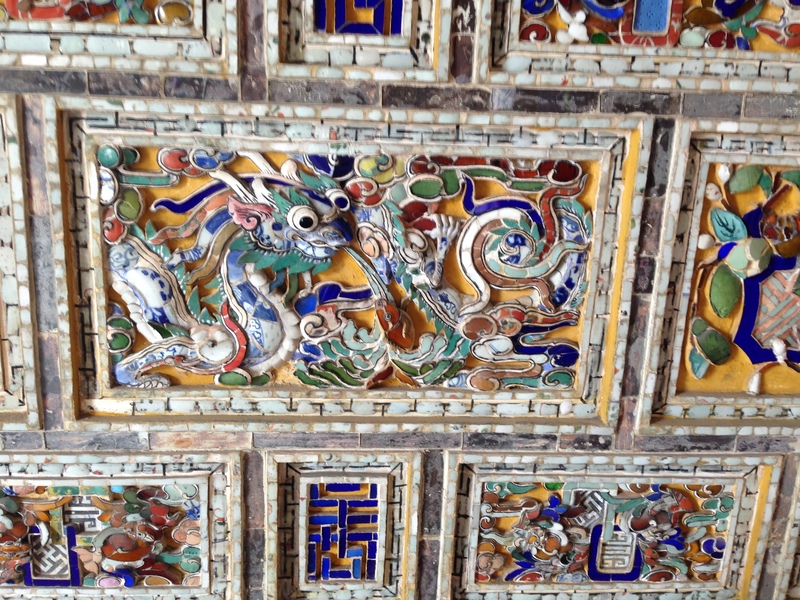 Our Vietnamese friend, we soon learned, was very, very restless. He’d also never heard of putting his phone on silent and played games on his phone all night long. He eventually stopped and we fell asleep only to be awoken at 5.30am with more games!! Plus by this point the toilet was really starting to smell. I couldn’t wait to get off!! 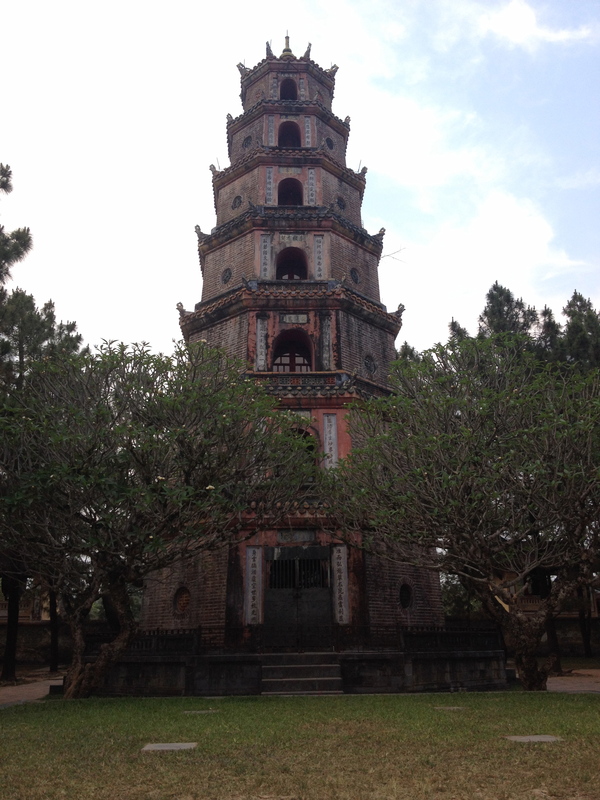 We finally arrived in Hué and were soon surrounded by tuk tuks and touts trying to sell us a night in a hotel or a tour. It was crazy and too much after that nightmare bus journey. We managed to get away safely and into a cab to our lovely hotel. 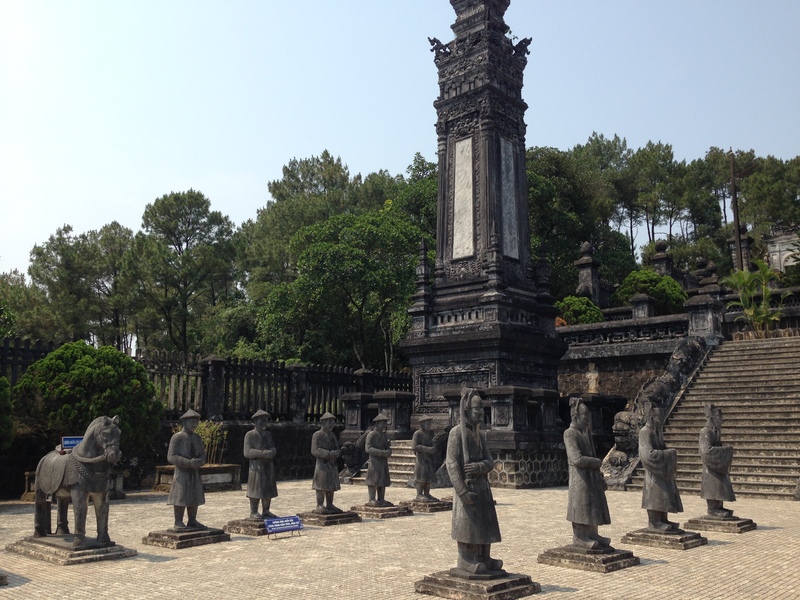 Hué was the the capital of Vietnam during the Nguygen Dynasty, which ruled Vietnam between 1802 and 1945. 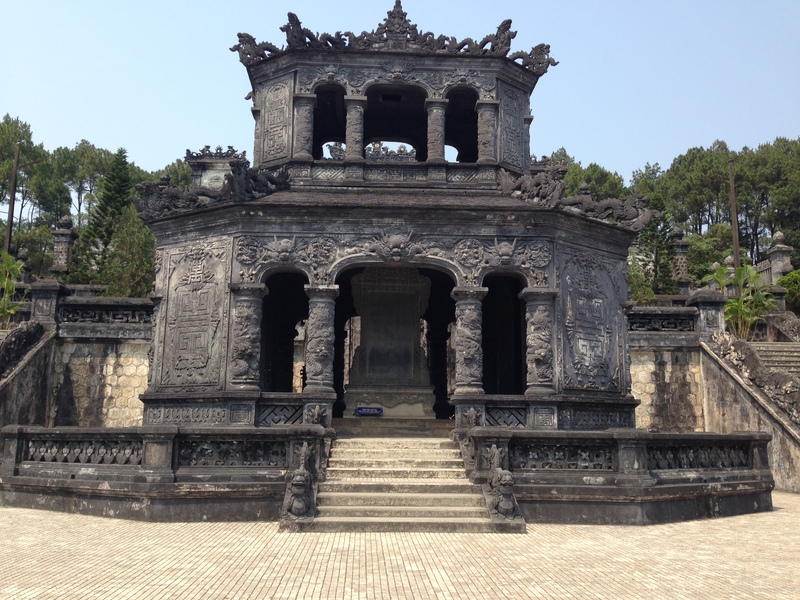 We decided to rent a motorbike for the day to visit the imperial city and royal tombs. 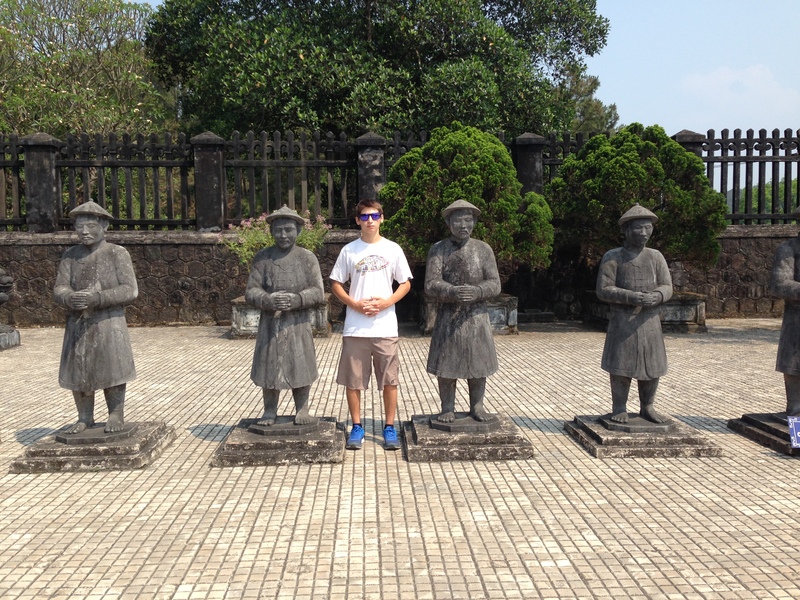 Kyle trying to be one of the statues!